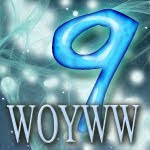 I won't be linking up to WOYWW until next Wednesday, but this was the best day to post the monthly Card Chicks cards. I'm trying to get back on track with the various challenges and I was determined to post to Card Chicks on time this month. This is the kit Miami Kel sent us to work with. 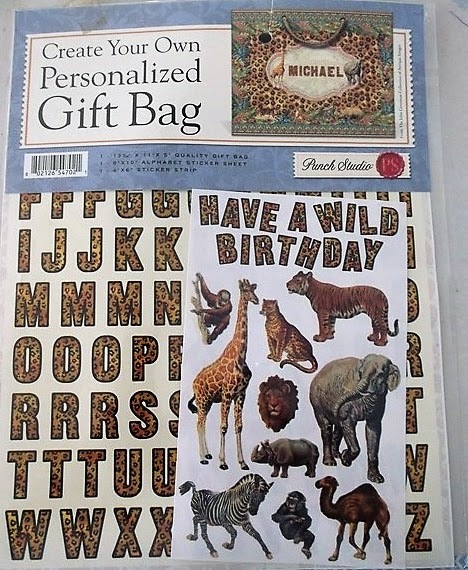 I had this gift wrap embellishment kit in the scrap rack - perfect pairing for this kit. I only used the small chimpanzee on one of the cards. 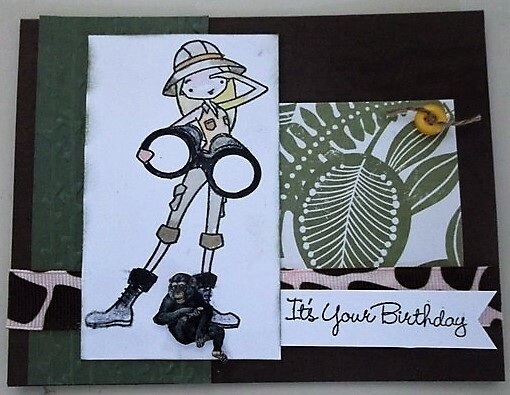 I used the birthday sentiment from the kit for this card. To color the image, I put a drop of various SU reinker colors in my paint pallet and used a water brush to add pigment. The color isn't real good in the picture for some reason. 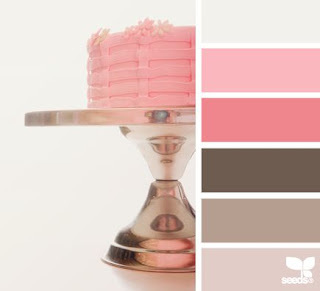 Her hat was watered down Crumb Cake with a Peek A Boo Peach band. Her hair is Daffodil Delight. I colored her blouse in the Peek A Boo Peach. I used a stronger pigment for the pockets then watered it down a bit more for a lighter shirt. 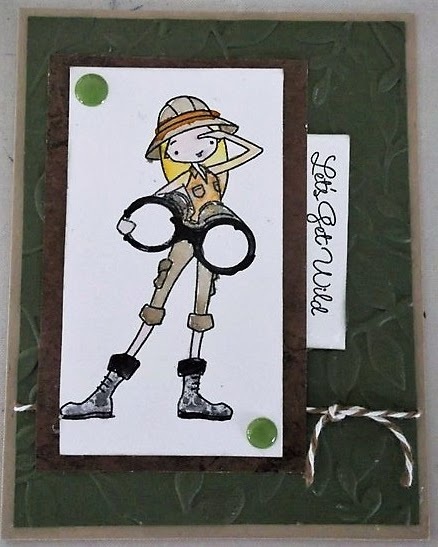 I used the same technique on her khaki's using Chocolate Cake and the Basic Black for the boots and binoculars. The Always Artichoke strip is embossed with the Petal Pair embossing folder from Stampin' Up! The entire card is paid out on a Chocolate Chip base. 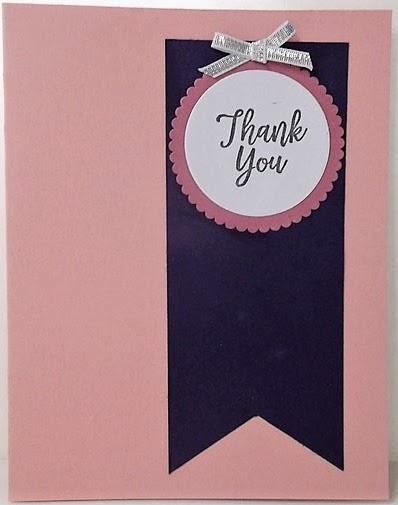 For this card, I embossed a mat using Layered Leaves embossing folder on Crumb Cake. 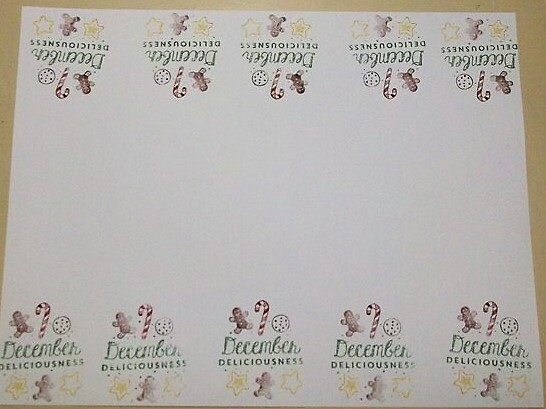 I added the bakers twine and the enamel dots, Kelli had included in the kit. I hope to go back and work up the other kits. I'll show them off as I do. That's on my desk, what's on yours this week? MIXED MEDIA MONDAY - Crazy Brave! I'm doing my best to stay on track. 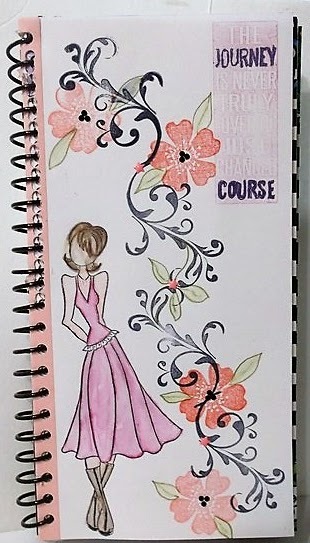 Aside from my day planner to keep me focused on the various challenges and art projects I want to participate in, I have an art planner where I list just challenges. To make sure I don't miss anything I have a monthly write-on/ wipe-off board so I always have things in view when I walk into my studio. This week, we step into the Crazy Brave & Wicked Strong calendar. I'm not going to worry about whether or not I'm in the current month. Rather, I just want to enjoy playing. This Prima doll stamp will be a constant in the layouts as I go. I used Stampin' Up! 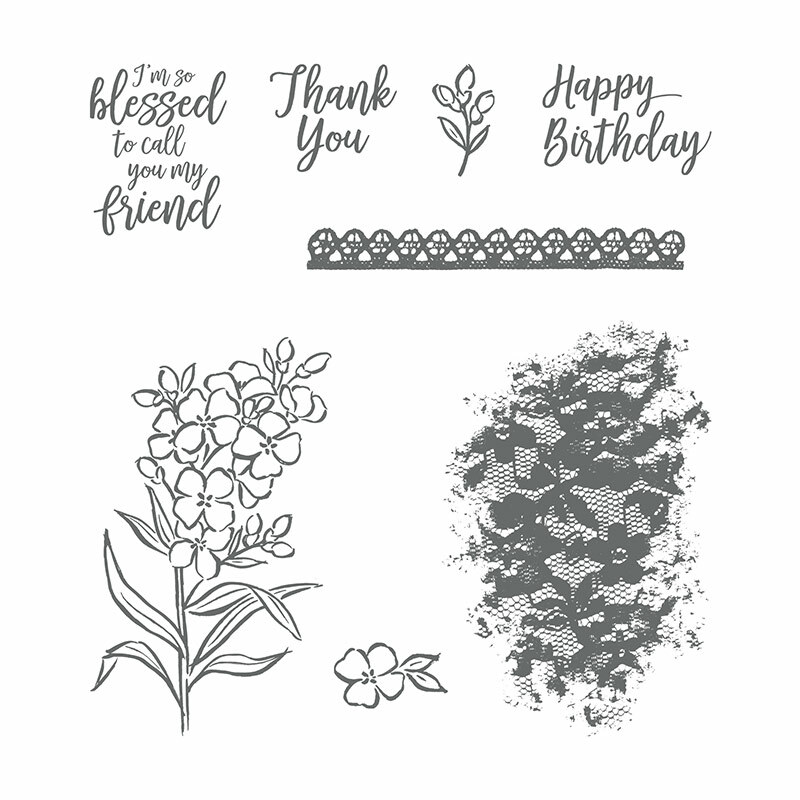 Stampin' Blends as well as the Watercolor Pencils to color her as well as the leaves. 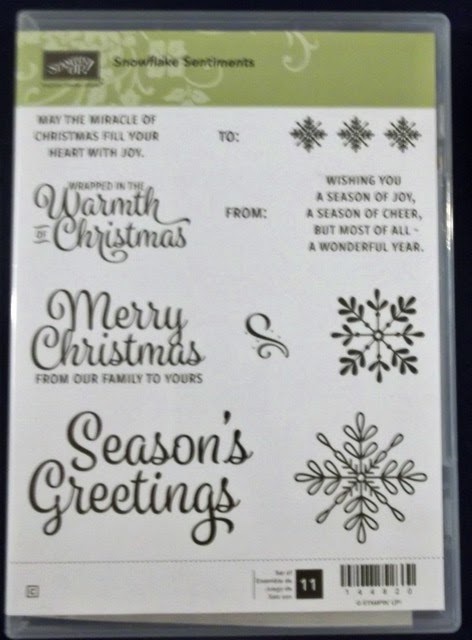 The flourishes is from Stampendous - Flourises v2. The flowers are from a retired SU stamp set 'Morning Meadow. I drew in the leaves with an Old Olive watercolor pencil. 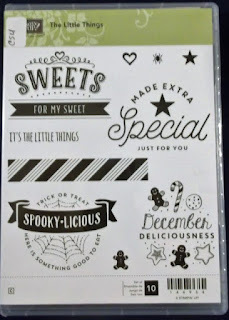 The quote isn't really visible and I'm not sure where the stamp set is from - after a google search I see that some, but not all of the stamps are from Tim Holtz. FRIDAY FREEBIE - Merry Christmas! Yep... if you haven't already, it's time to start thinking about Christmas 2018. Back in January I found the video below on YouTube. 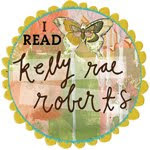 I've been following Artful Stampin' - a Stampin' Up! demonstrator from the UK. Ruth is very creative. 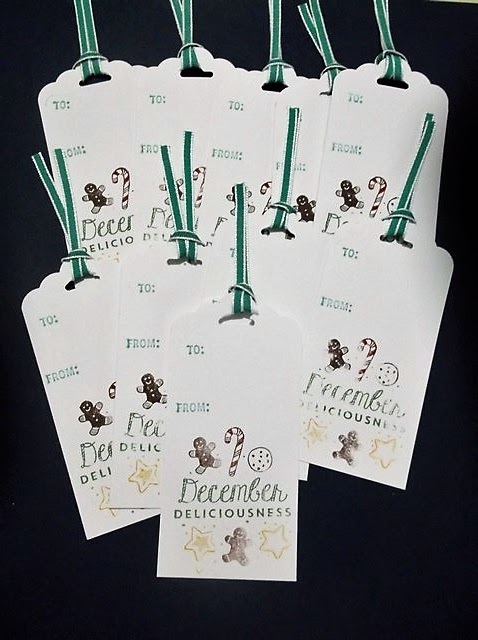 January's challenge was to create 10 Christmas tags. 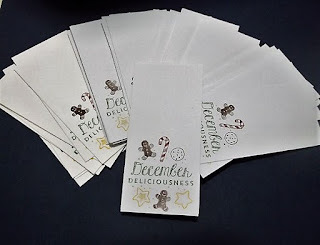 With the repetitive stamping technique, I knew this was the perfect way to get the 60+ tags I need for the cookie boxes I'll deliver in December. You know, the tags I'm usually making while the cookies are cooling and waiting to be boxed up. 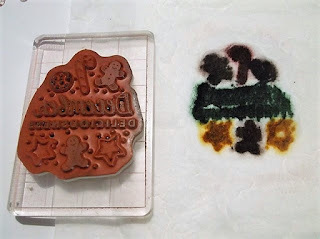 Apply ink, using the reinkers, to the images on the stamp. I used Cherry Cobbler on the candy cane, Chocolate Chip on the gingerbread men, Crushed curry on the stamps and Garden Green on the sentiment. Then you place a pad of dried baby wipes onto the stamp and press. When you remove it, you have a custom ink pad (right hand side of the photo). From this you can stamp your image over and over. I had stamped over 30 before I needed to reapply ink. I could get 10 images per piece of white cardstock. After the first couple sheets I realized if I stamped the middle image first, then an image on each outside corner I could get better spacing. 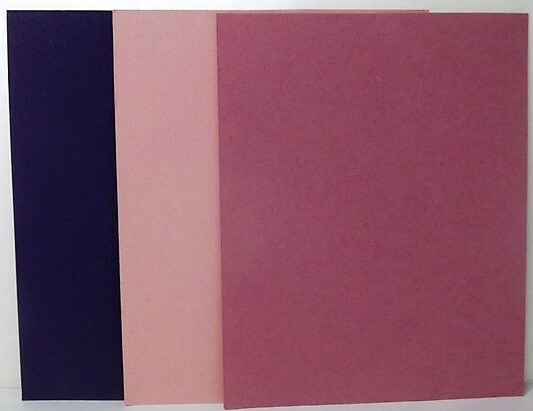 After I'd stamped both long edges, I cut the page down the middle longways at the 4.25 mark. From there, I cut the tags down to 2"
I'm only showing the first 10 here. I still need to put ribbon in the other ones. I only had to have 10 tags for the challenge that had to be posted no later than the 24th. A new challenge will post on the 25th so I'll have that one to share next month. Are you thinking about Christmas? 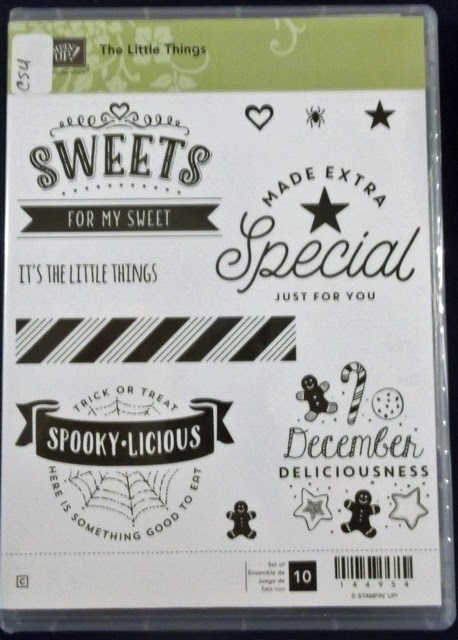 Making cards or tags? Now let's see yours! You have until March 12th. Top picks will be listed the Friday prior to the new challenge. Please share the blog post link on your blog. 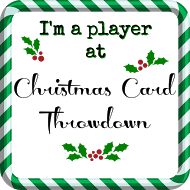 (I hope to also have a blog button in place by February) so others can play. No back linking - new projects only. Any type of project is acceptable. 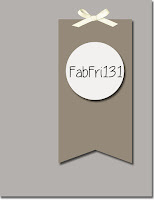 Labels: Color Challenge, FabFriday, February, Penny's Paper Crafty, Stampin' Up! I'm happy to be back playing in Teapot Tuesday on Splitcoast Stampers. 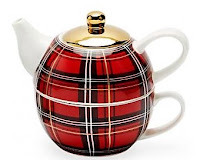 The concept behind Teapot Tuesday is to be inspired by the challenge, but also have the opportunity to send your card to a designated person who could use a bit of cheer. This week's card is on it's way to The Netherlands. As you can see, we mail all over the world. 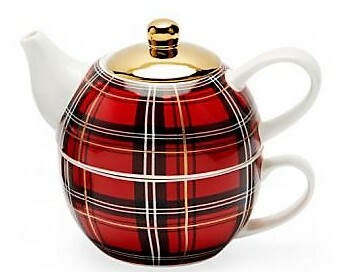 Our tea party is in honor of Ms. Annie Beerkens. Ms Annie is recovering from a lung infection. As we get older, we know recovery can be very slow. She is 78 and still a fashionista! With that in mind, we were inspired to use fashion in our card. 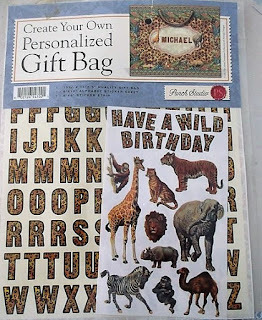 My mind went instantly to some die cuts I've been hoarding for about four years. 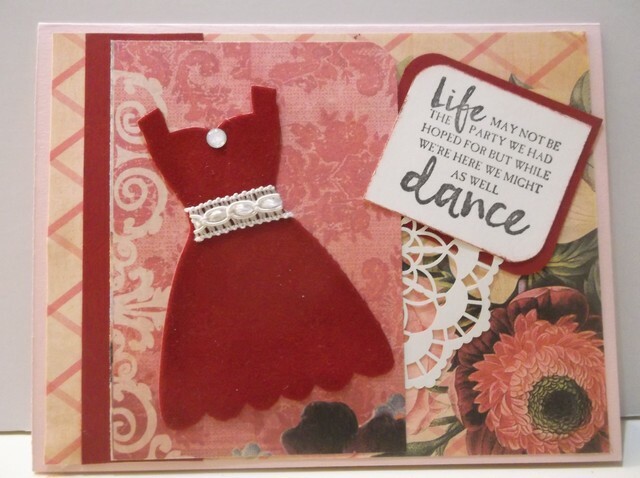 They were the now-retired dress form die from Stampin' Up! I'd borrowed my sister-in-law's die set and cut several from patterned papers as well as velvet papers. I cut the dress forms from tan and chocolate velvet papers. Haven't figured out where to use them yet. I started with a Powder Pink card base and added layers of paper from a Recollections Floral Squares 12x12. They were 4 4x6 art cards. I've used one as the first layer, then trimmed another down to place the red velvet dress. I tucked a very vanilla doily under the edge. The sentiment from Beautiful You (SU) is stamped in Tuxedo Momento Black on Very Vanilla and matted on Cherry Cobbler. The jewel at the breast is from SU Clear Faceted Gems. I'm not sure where all of my pearls went to. I have several cards worth in the Scrap Rack but they were all larger than I wanted. I was looking for my SU size variety. I hope Ms. Annie likes her card. Anyone is welcome to play. Come join us, won't you? Technically, this post is supposed to go live on Monday the 12th. But the deadline to enter a challenge is today so I'm scooting in under the wire. I love taking part in challenges. While I've had good intentions in the past, I've never gotten very far. Challenges are a good thing. They encourage us to stretch our wings and we can be inspired by what others are doing. 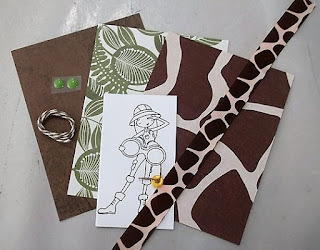 This week I'm at Crafty Cardmakers. Challenge #204 encouraged us to 'Get Inky/ Messy. While my tag doesn't look very 'messy', there was a fabulous shade of Metalic Amethyst infused Gesso on my mat. After creating the background for the tag, I brushed the remaining gesso on the 2-page spread in my junk journal designated for all things purple. Then I spritzed water on the mat and swiped a piece of white cardstock through the remainder to clean up my work surface. Nothing went to waste. This tag also applies to the Word of the Year challenge on SplitcoastStampers. 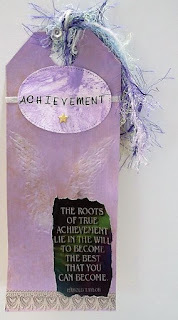 My word is ACHIEVEMENT - or forms thereof. We were to make a piece of Quote Art. I was inspired to do a large tag by one of the gals in the Splitcoast challenge. She is using a 4x12 tag. I went with a 4x10. When I'm done this year, I'll bind them into a tag book. This next part may scare a couple of you. Shhh don't tell Tim Holtz this next step. I cut his Wings embossing folder apart! Then I set it back together, aligning the folder so the image nested properly. Then I taped the folders together on one side to create a hinge. This allows me to place the embossing folder anywhere along the tag I want and still have everything line up properly when I close the folder. After running through the Vagabond, I brushed Brilliance Moonlight White Ink using a finger dauber over the raised surface of the wings. 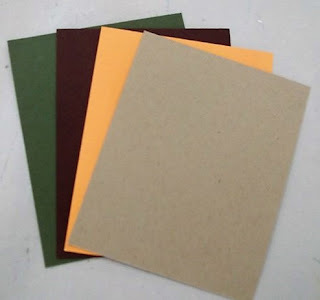 Remember that piece of white cardstock I used to clean up my mat? 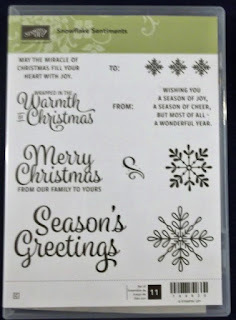 I cut an oval from the Stampin' Up! Stitched Framelits, using the largest oval. I used alpha-stickers from The Paper Studios to spell Achievement. The gold star was from my stash. 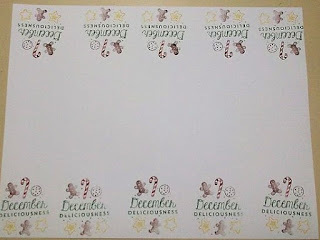 I laid down a strip of washi tape from the new Stampin' Up! Myths & Magic collection. then glued the oval over top. The heart lace edging at the bottom was from a sticker pack I bought at $ Tree several years ago. The image is the focal point for this tag. I found the quote on the internet. After cropping the quote out, I printed it on vellum. I tore the edges then glued to the tag. The fibers are from my stash. I thought they paired well with the colors and the wings. I'm happy with how the tag turned out. Our next one is to do a collage about our word. Hmmm this one is going to take some thought. 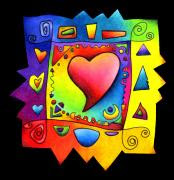 Remember to come back next Monday when we have our own Color Challenge! But I'll be here tomorrow with a Tea Pot Tuesday card. Come be inspired!